But since most people cannot raise their own farm animals, I will focus on growing herbs, fruits, and vegetables. For people who own their own property, this should be a no-brainer. But, the reality is, it seems Americans are more interested in growing inedible high maintenance hedges and lawns instead of food. We still have to buy a lot of food, but we also have to give a lot away. That brings up another good point. That is, if more people did these things, we could have and share more variety with our neighbors. 1. What are your favorite foods to grow in Florida and why? 2. What have you grown and why? 3. What do you plan on growing and why? 4. Why aren’t you growing fruits and vegetables? 5. What potential problems do you think people might run into farming their property? 6. Do you have any advice for someone thinking about growing fruits and vegetables in Florida? 7. What kind of vegetation makes a good hedge? Canopy? Ground cover? 8. Do you buying good food might be a problem some day? Now it’s your turn. Please use the comments below to add to the conversation. Published by admin, in nutrition. organic horse manure has helped a lot with aloe. Rodney used to use cow manure but agreed that horse manure was good, too. We just bought in Pompano, and I really would like to do this. I already grow a container garden for herbs. The 1 problem I see already is thieves. We have a mango tree out front, and people steal from it. 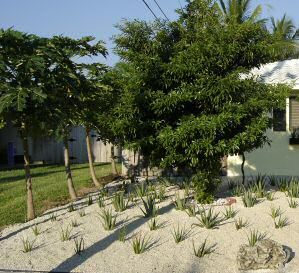 Also, I hear Pompano code enforcement is pretty ridiculous, so I wonder if anyone has had any issues growing what they want? We certainly grow and eat lots from our yard. We haven’t had problems with code enforcement. We have had citrus and coconuts stolen several times. But we still get the bulk of the produce. If we could convince more and more people to “grow their own”, it would be like the old days where we gave and received within the neighborhood. But if we are the only ones growing and there is a food shortage, we have no real benefit. If will disappear as fast as it is grown.